This dog walked past with his owners as I made my way up to the Old Town of Menton. 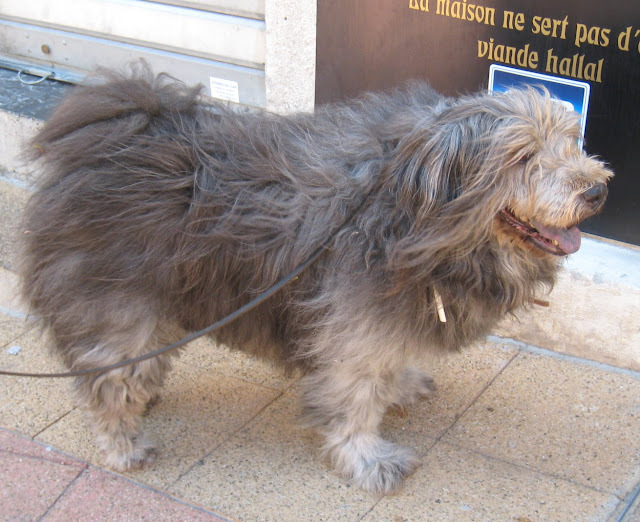 He is a cross between a Chow Chow and a Pyrenean Shepherd Dog. You can see more of the sheepdog than the chow but he has a touch of a chow's black tongue. Hey me, look at me!